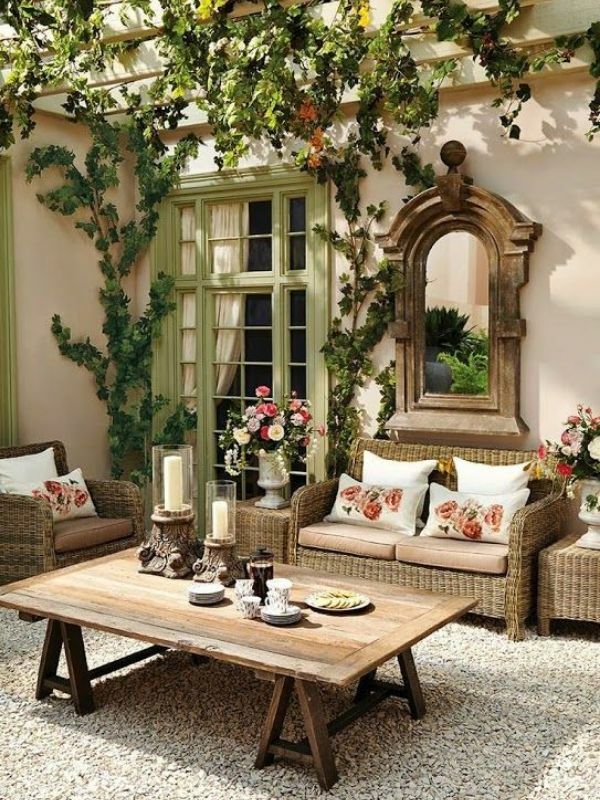 Deciding on the right garden furniture for your patio can be arduous. 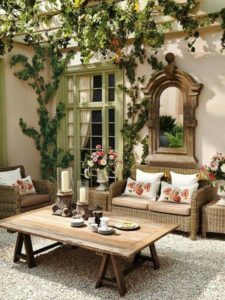 If you are working on transforming your outdoor space or backyard to a venue where you can organize garden parties, arrange intimate dinner with a few friends, or just your tranquil haven where you can slow down, selecting the right pieces can be a tough process. With that in mind, we have collected for you 13 must-have garden furniture for your outdoor space. 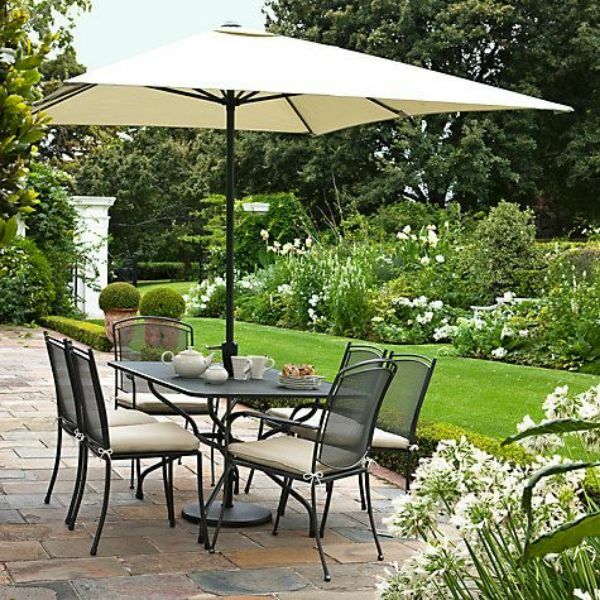 Furthermore, we are supplementing you with a garden furniture buying guide to help you decide on valuable pieces, searching for suitable accessories, and quick tips on how to maintain your outdoor furniture in mint condition. Read on and discover how designing an outdoor patio can be hassle-free and rewarding! There are a few other aspects to consider when purchasing garden furniture compared to your indoor pieces. While your decor should be consistent, you must likewise opt for sturdy materials that can endure damaging elements. To fully illustrate, here’s our 13 garden furniture picks that your backyard needs right now. 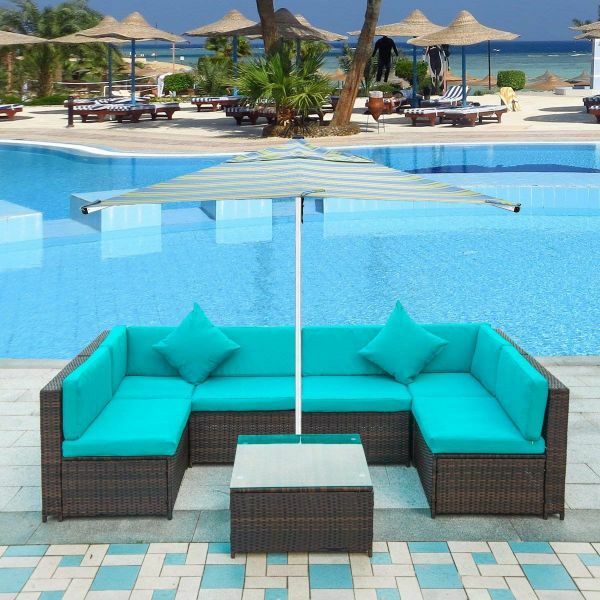 You can rely on rattan furniture to withstand even the toughest of elements. That is why this material is a prominent choice when it comes to garden and patio furniture. 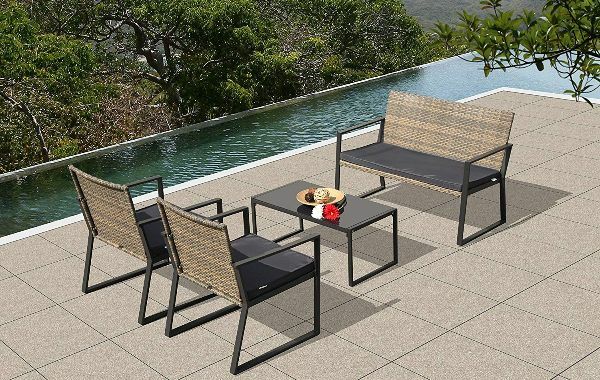 Unwind with family and friends with this Rattan Backyard Garden Furniture. The black colored cushions are fitting for families with kids or pets as it is simple to clean. 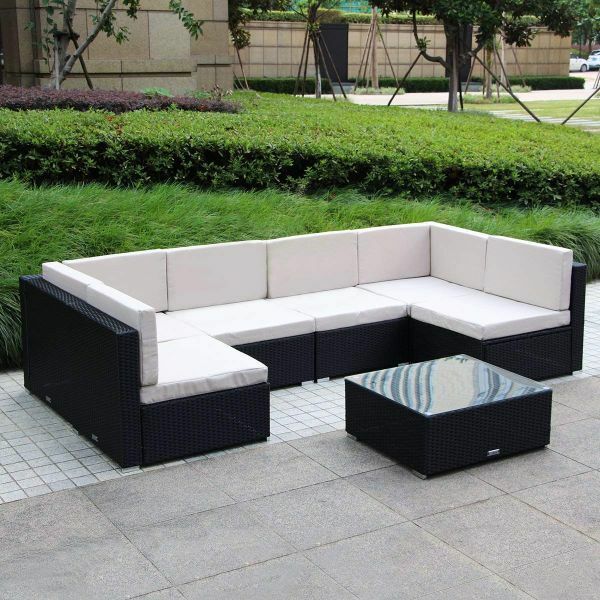 If you have ample outdoor space, this Garden Patio Furniture is excellent for entertaining your group of friends. It has a center table which allows your guests to enjoy food and drinks while talking. 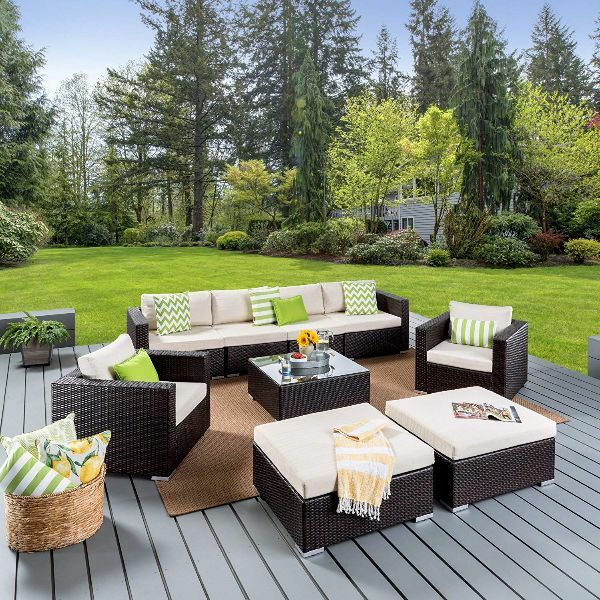 In the meantime, if all you wish is to sit down, breathe, and savor your favorite tea, then this Garden Lawn Furniture is highly compatible for you. Not only is it ideal as your place of comfort, but also a perfect area where you can relax with a loved one. 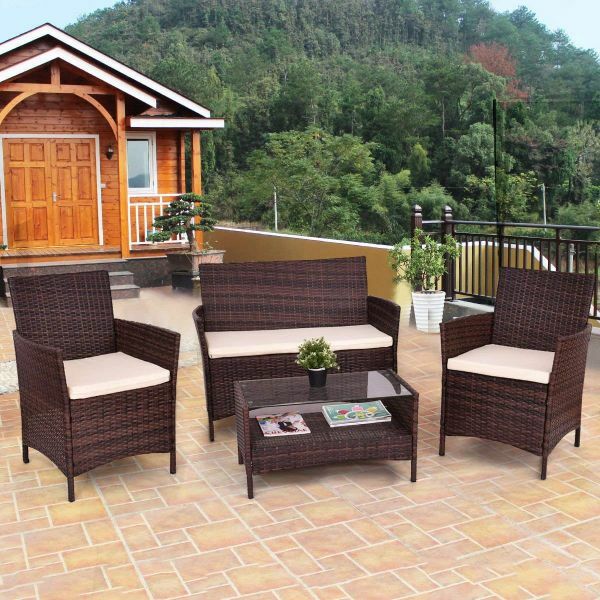 Otherwise, spend weekends with loved ones and friends with this Rattan Garden Furniture. It sizable seats ensure everyone can comfortably lounge and chill while chatting. Meanwhile, the Kettler Garden Furniture is known for its comfortable yet lasting pieces. Below are a few of its standout outdoor furniture. This contemporary Kettler Outdoor Garden Chair will be a unique addition to your garden. Nevertheless, it will be an amazing reading corner for you during sunny days. Have meaningful conversations with friends in this Kettler Outdoor Furniture. While chatting, you can serve your guests with coffee and crackers. A Corner Furniture like this is awesome for catching some rays in the morning or just appreciating the stars at night. 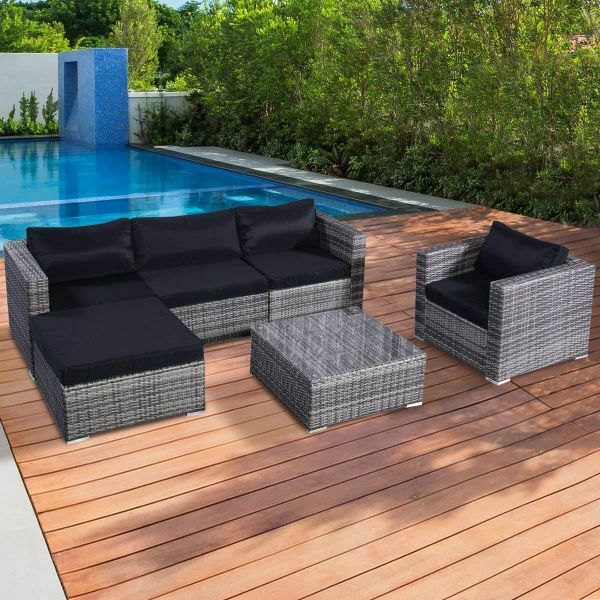 Either way, with its sleek sophisticated look it is surely a fabulous addition to your patio. Are you planning a get-together with friends? With this Teak Garden Furniture, you certainly can relax and put your feet up while reminiscing about the good old days. In effect, this Beckley Hardwood Garden Furniture is likewise suitable for indoor use. On one hand, with its sturdy hardwood finish, it can withstand even the harshest of elements. 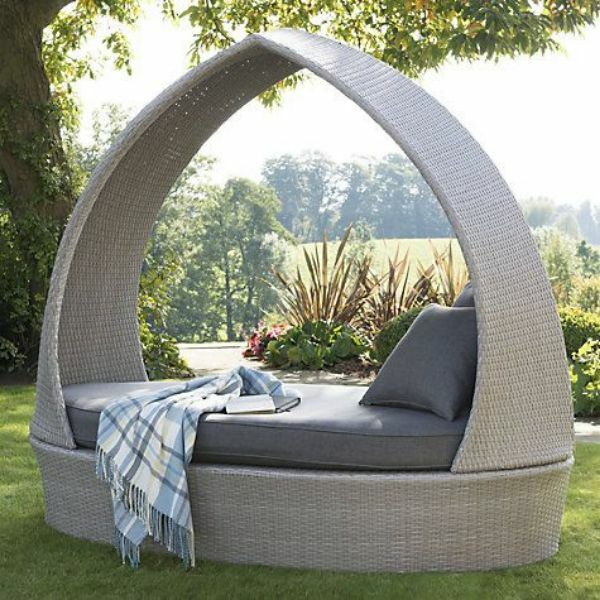 Spend quality time your loved ones with this Wicker Garden Furniture. Not only is this outdoor piece tough, but it also adds a certain charisma to your garden patio as well. You can never go wrong with the Steel Frame Garden Furniture. What’s beneficial about this material is that it is rust resistant plus solid enough to hold up 300 lbs. Again, like the Beckley Furniture, this Acacia Garden Set is both fitting for indoor and outdoor use. With this piece quick to move around, you’ll have endless arrangement possibilities. Lastly, this 4-seasons Outdoor Furniture is all-weather resistant. If you have a modest outdoor space, this piece is recommended for you. 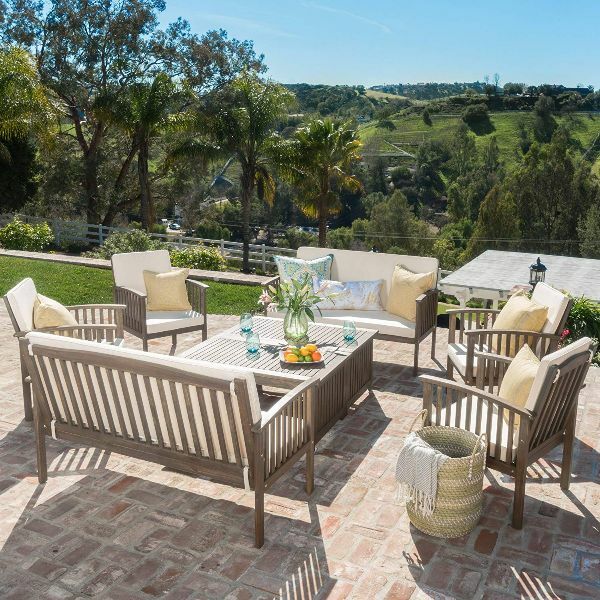 When you have finally identified your preferred patio furniture, creating your relaxing haven doesn’t stop there. The next step is to pick out remarkable accessories to accent your furniture. Bring in color and texture to your outdoor design by adding cushions. In doing this, your pieces of furniture will look more comfortable. Opt for water-resistant materials which are quick to dry in case that these pieces will be left out in the rain. At present, there are now plenty of parasols offered in brilliant colors and patterns. Placing this vibrant accessory to your patio will not only help you block the sun and UV rays but also add a touch of color to your outdoor structure. Temperature drops when the sun comes down. 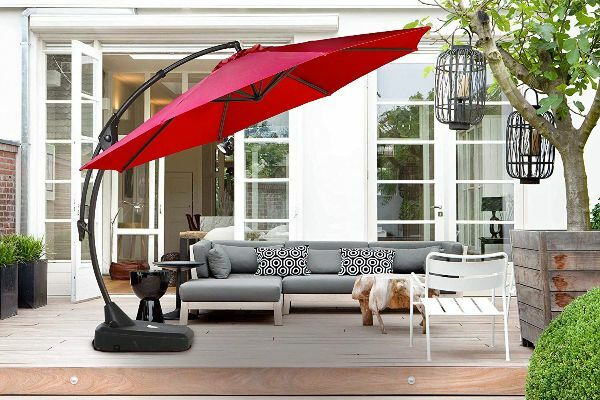 For you to continue to enjoy your outdoor patio even when it’s chilly, consider deploying patio heaters. If you have a narrow garden space, you can install wall-mounted heaters. Regardless, it is best to use electrical supplied patio heaters which are cost-efficient compared to those powered by fuel if you are planning on using it frequently. 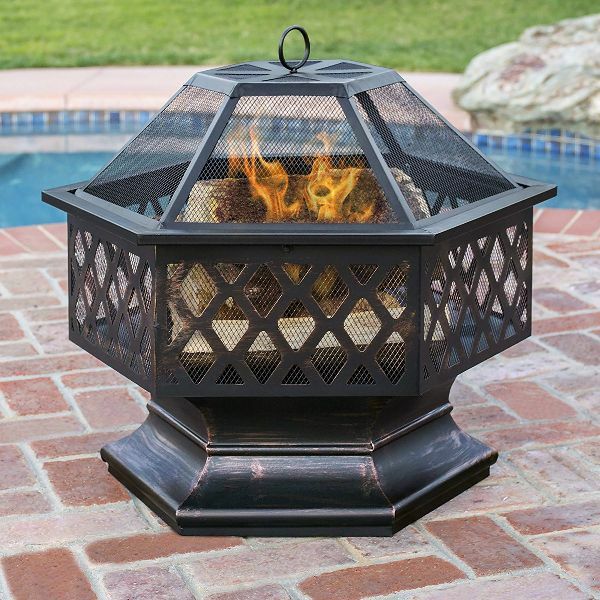 Aside from this, you can similarly purchase fire pits or chimineas for your garden. Take note of the dimensions of your outdoor garden and ensure that your furniture will fit well but individuals can still freely move around. 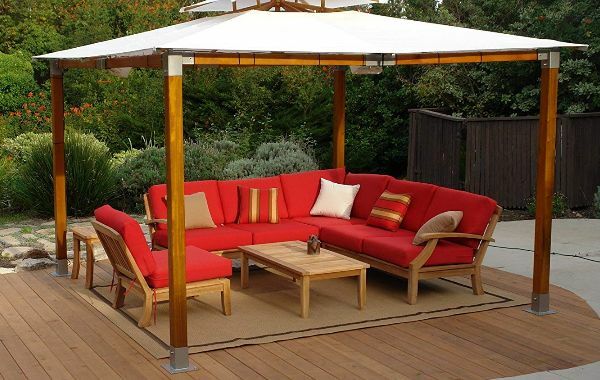 It is always best that you store your outdoor furniture during the winter season. 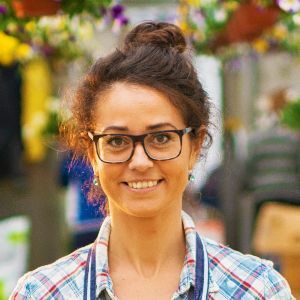 If you don’t have either a garden shed or a storage space, then consider pieces that can be easily folded or save on quality tarpaulin to cover your garden furniture. The material you choose for your furniture must be durable to weather out the elements. Besides sturdiness, it likewise defines your personal style and outlook of your space. Thus, we recommend you opt for furniture produced from Teak, Rattan, Metal or Woven which are popular for its weather-resistant quality. Moreover, it has benefits that can be rewarding to you such as metal having powder-coated aluminum resulting it being low maintenance, Teak bearing natural oils keeping your pieces from deteriorating, and Rattan now available in several colors that will easily match any motif in your home. Consider also the climate condition of your area. Is it normally dry or does it rain regularly? These are crucial because a hot and dry condition can result in wood cracking and formidable winds can bring light aluminum furniture flying. Ultimately, the furniture that you can purchase depends on your budget resources. While choosing valuable furniture is important, we do not advise spending more than you can afford. What you can do is frequent yard sales or thrift stores and look for a standard furniture. For the same reason, you can also opt for low-cost aluminum or inexpensive wood. Likewise, look into refurbished pieces which are of good value. 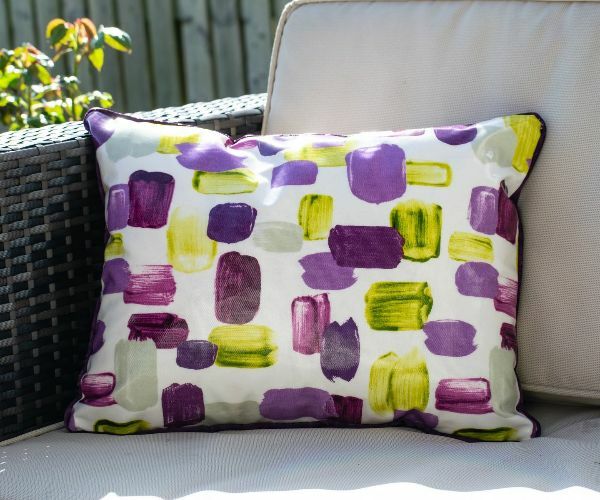 To brighten the look of your old pieces see to it that you also update pillows and cushions. Wash your teak furniture regularly with soapy water to avoid staining and to keep its natural finish. During cold or wet conditions, it is advisable to use a teak sealer or simply put covers to protect your furniture. If you selected rattan pieces, know that it must be stored during the winter. To prevent color from fading, keep it away from sunlight. Give a fresh coat of metal paint to rejuvenate powder coated aluminum. If you are not fond of your piece forming a patina make sure to store it indoors during winter. To clean woven furniture, it is best to simply wipe it down with a wet cloth. Never use soap in cleaning it because it tends to get trapped in between and result in discoloring. 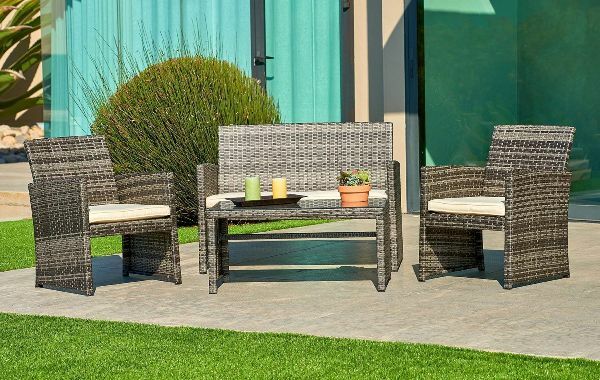 All things considered, with our buying guide and tips, selecting your garden furniture should be a fun and satisfying adventure. Remember while the quality of the furniture is vital, still, your budget should be the main aspect to consider.